Web Site: http://hog.mapping-territory.com (soon online). Version: Beta 12, last beta version! If you want to try it offline, just type /map hog_b12 in the console. Please send us feedback to help us improve the upcoming final version. If you have the HoG_b12_dt version, the only difference is that the truck is destructible. “Boissaint”, a French village in the Alps waiting for reinforcement coming from Bergheim. Allies have to steal the gold and escape from the village with the truck before reinforcement’s arrival. The truck won’t go beyond the barrier without the gold. The gold can be stolen and brought to the truck right from the beginning of the map. If the axis construct the command post, it creates a new spawn point for them. 1. Steal the gold and bring it back to the truck. 4. Escape with the gold loaded in the truck. 5. 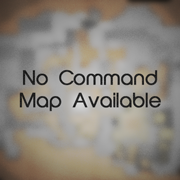 Construct the command post to gain a new spawn point. 1. Protect the Gold and construct the door. 4. Construct the command post to gain a new spawn point. 6. Stop the truck, and prevent the Allies to escape from the city with the gold. Note: The truck won’t go beyond the barrier without the gold. Some good prefabs and great textures were not created by the designers of this map. So, should be also credited : Drakir, Dave Gurea and much more. You’ll find a complete list of these in the map’s homepage. This map started from a request from =FBK=CaribouX to have a new competition map for the tournament LFET (Ligue Francophone Enemy Territory). Several versions were created and modified throughout a lot of test sessions. So we’d like to thank everyone who participated at these tests, the person who reported bugs and helped us improving the map, and everyone who made this possible. - MLB Map Pack (MLB_Beach, MLB_Bayraid, MLB_Carnage, MLB_Daybreak, MLB_D_Day, MLB_Egypt, MLB_Hotchkiss, MLB_Temple), by MLB: Marko, Lowlife & Bob le Roux.